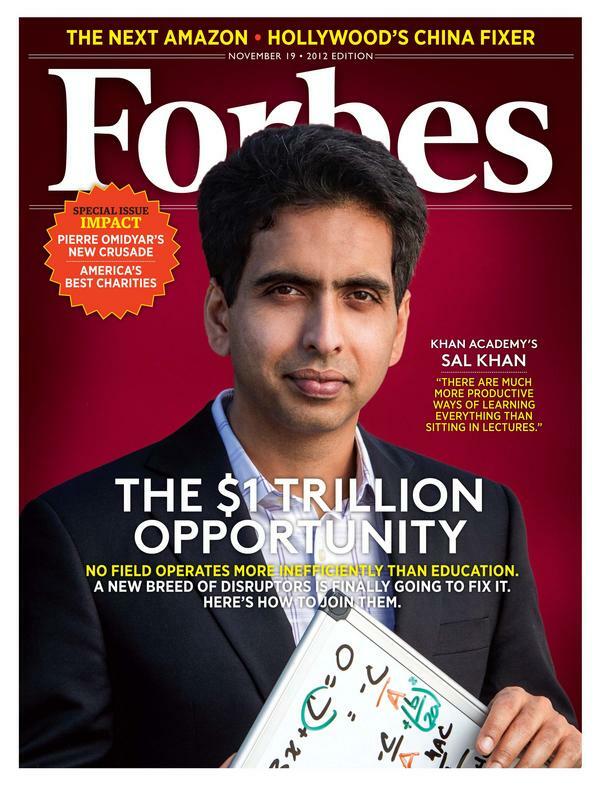 Salman Khan was featured on the cover cover of this month's Forbes Magazine, touting him as the man who is "reinventing education." The International School of the Peninsula is proud to be one of the first piloting program partners for Khan Academy. Last year, our 4th grade Chinese Program math class served as a pilot classroom, and this year, that same class is continuing to use Khan Academy's tools. ISTP has also worked to help translate and adapt videos of math concepts in French, for worldwide viewing and learning. Over the summer, ISTP also opened its doors to Khan Academy's Summer Discovery Lab, hosting their teachers and students on our Cohn Campus. ISTP is proud to partner with Khan Academy, whose videos have been viewed more than 200 million times in countries all around the world!